It was founded in 2003 by young men and women who live in Thessaloniki. Its members get primarily involved with the Arts and creative expression. Kids in Action organize and deliver clown, juggling, puppet theatre and street theatre performances for children who come from so called marginalized backgrounds. In their first years of action performances were given on a voluntary basis in villages, orphanages, schools for disabled children, hospitals, immigrants’ community centers etc. 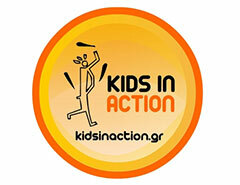 Kids in Action have also performed in festivals around Europe. Group members often organize circus and street theater workshops. Many of them have attended circus schools around Europe and abroad and are now working as freelance circus performers. Additionally its members write and illustrate children’s stories, compose music for children, make puppets and marionettes which they use in their own puppet theatre performances. -Co-ordinate educational workshops and programs on a local and national level. These programs are based on non-formal education techniques such as circus and others. -Promote the idea of volunteerism through various activities. -Organize and co-ordinate youth meetings with participants from around Europe. -Support and encourage young people who wish to participate in “Voluntary Service”, a program designed, co-coordinated and funed by the Institute for Youth. “Creativity” is an international project conceived by “Kids in Action”. It is mainly an artistic intercultural youth exchange that was firstly realized in Greece in 2004. During the project, the participants can take part in creative expression workshops and also, in sports and other entertaining activities. Up to now, 11 different projects have been realized, in Greece, Spain, UK and Serbia. In September 2013, “Kids in Action” will host the 12th edition of this project and the title is “Creativity XXL”! It is part of the framework of actions to mark the celebration of the 10 years of life and creativity of “Kids in Action”. Everybody can participate, namely, ex-participants of any of the editions but also whoever would like to join! A welcoming, creative and lively city that provides her citizens with opportunities for self-improvement, a city with a distinct personality, potential and vision. Happy, joyful and determined people who harmonically combine common sense with knowledge and emotion.